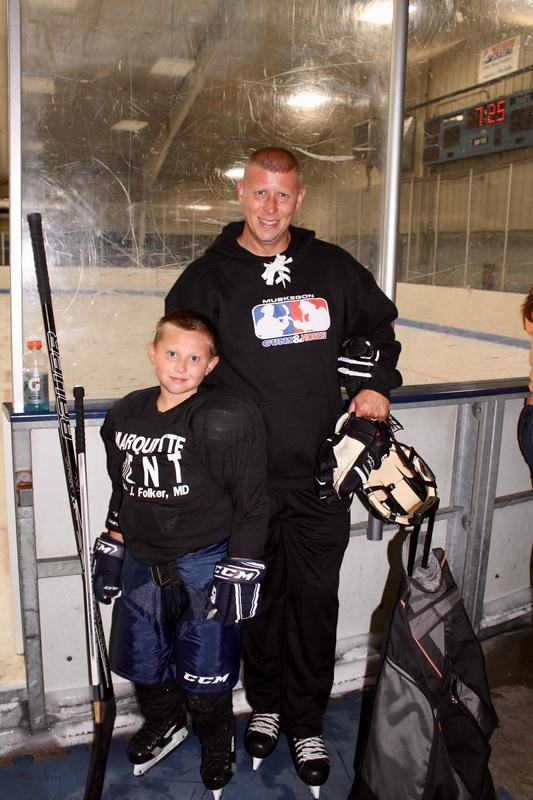 John and Lukas at the Lakeview Arena in Marquette, Michigan. 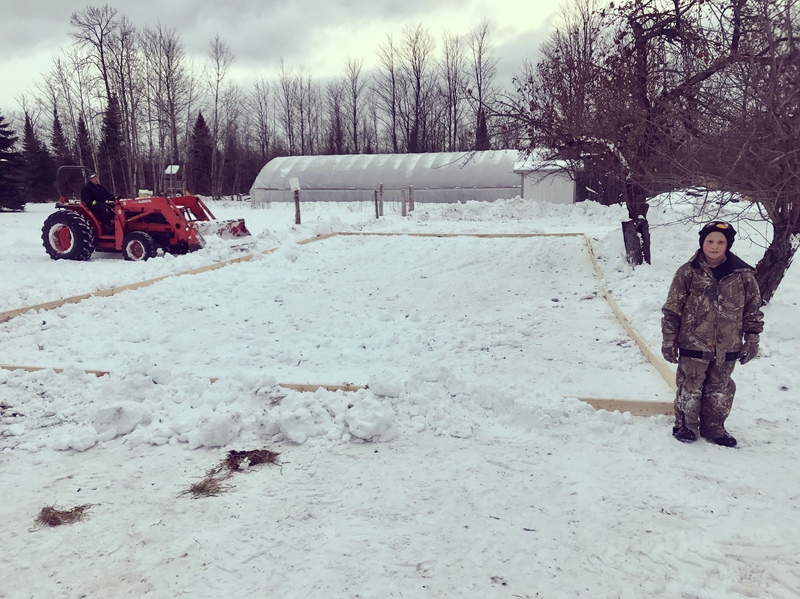 We have had subzero temperatures in the Upper Peninsula of Michigan, but that has not stopped my husband John from building an ice rink in our backyard for Lukas. 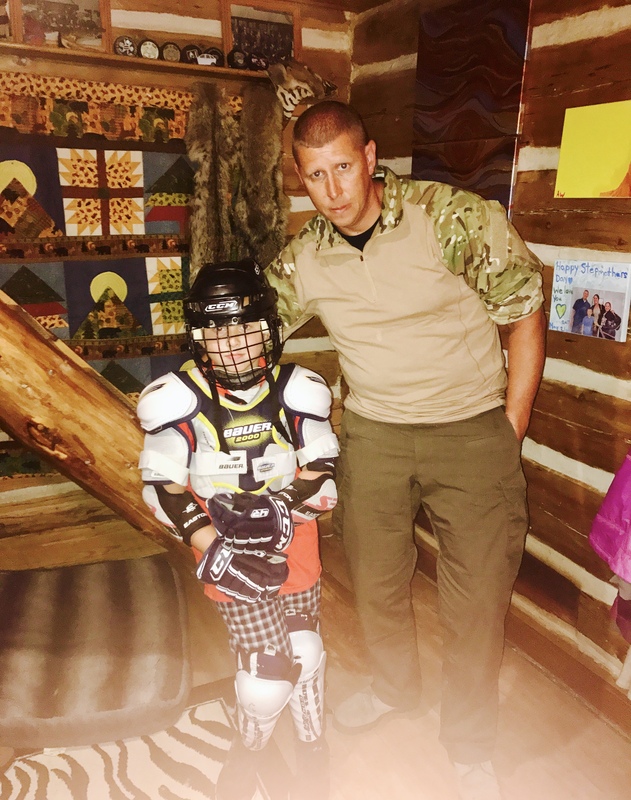 While Lukas has ice time twice a week at the Lakeview Arena in Marquette, Michigan – what little boy doesn’t dream of having his own backyard rink? 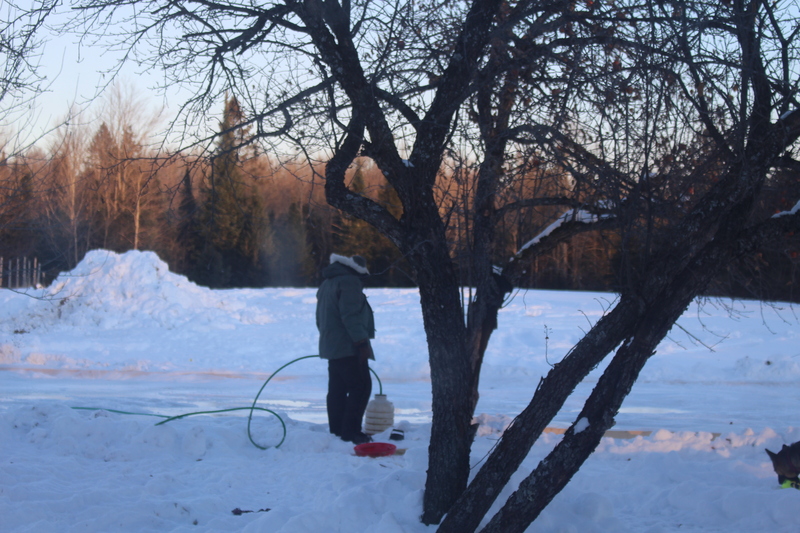 The ice rink is on the side of the apple orchard. Next year we will find a more permanent location. We have plenty of room on our farm. I watched him, like countless time before, from the warmth of our home. He didn’t know I was watching. The light this early evening was brilliant and the air was crystal cold. Most people would be inside, but not him. 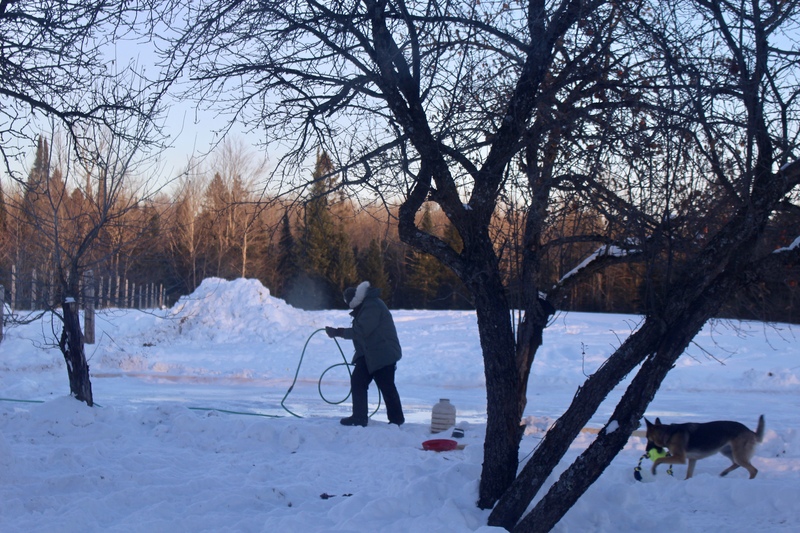 The chickens needed water and the ice rink needed another layer from the garden hose. A labor of love. Love of his children, nature, and animals. An artist, not taming the wildness of Michigan, but helping to transform it into something even more beautiful. Our life is not perfect. We have moments – we have trials and tribulations. Sometimes our present is dictated by past mistakes we have made. Yet, the future is ours to weave out of the wilderness of our hearts. Fresh open spaces. Raw and real. It is moments like this that I try to capture. When I tell the kids to come to the window and watch with me. Moments like this that I pray that Avalon and Lukas remember. The things that their dad does out of unconditional love in even bitter conditions. His hope that their life is rich – and honest – and simple – and full of wild, beauty. 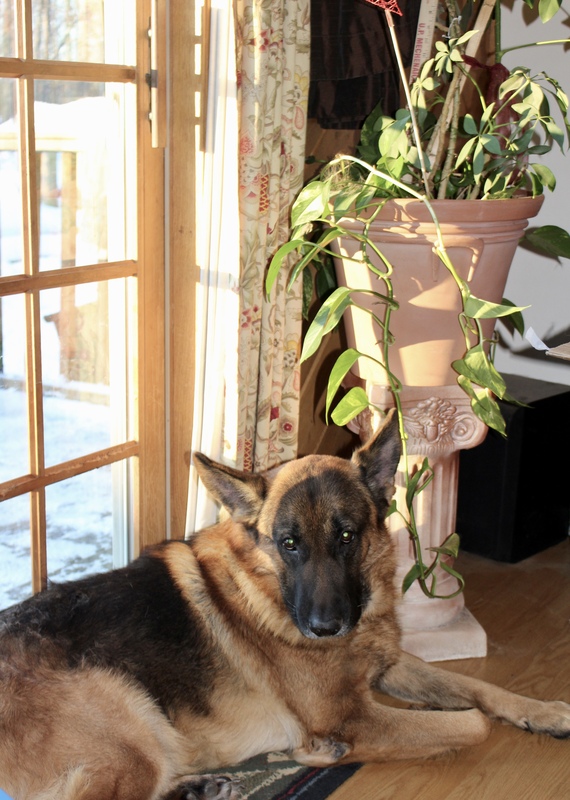 A life carved out of ice, sunshine, rocks, green spaces, branches, wagging tails, flocks of birds, and love. Sometimes we make mistakes and have to say “I’m Sorry.” Sometimes we have to push past the pain and try again. Unconditionally. 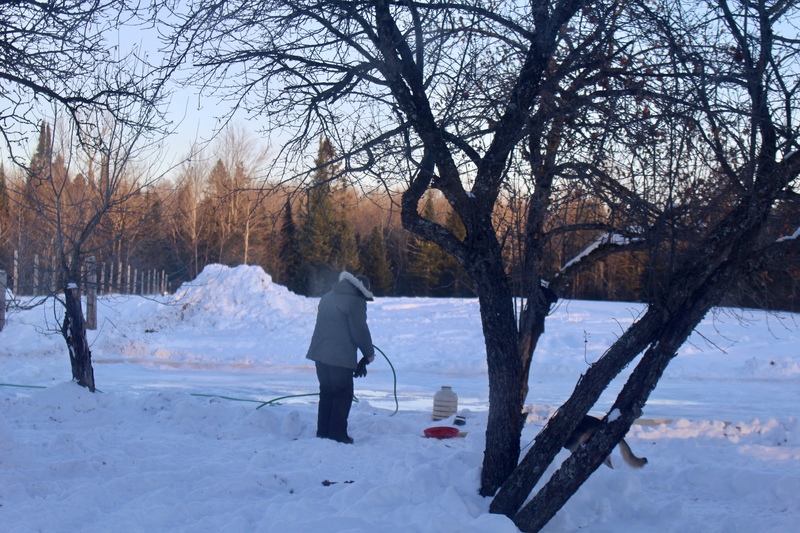 We are proud to call this resourceful, Renaissance man ours. Thank you for the legacy you are crafting. You can see his breath in this photo. Cold! 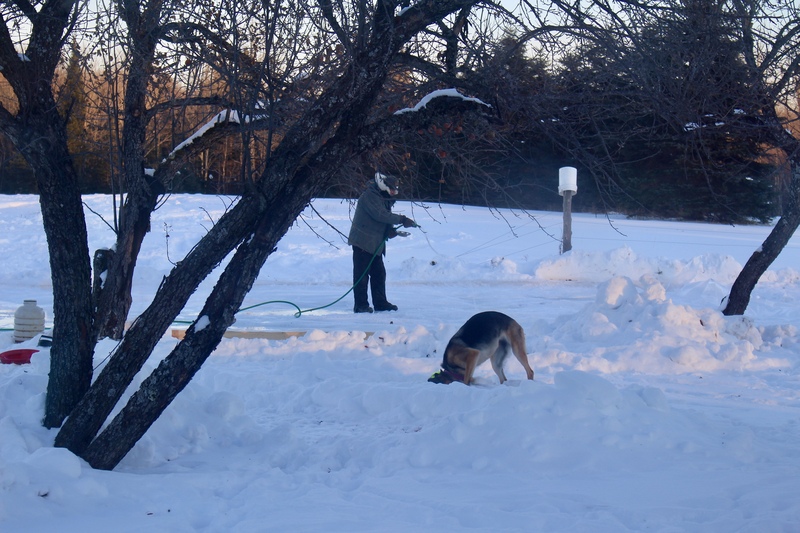 Our German Shepherd Meesha is John’s loyal helper. 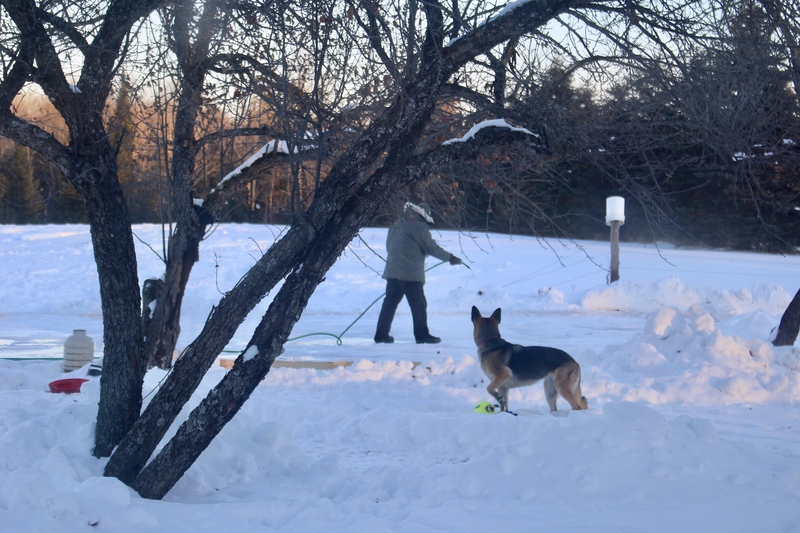 There’s always time for a game of fetch. 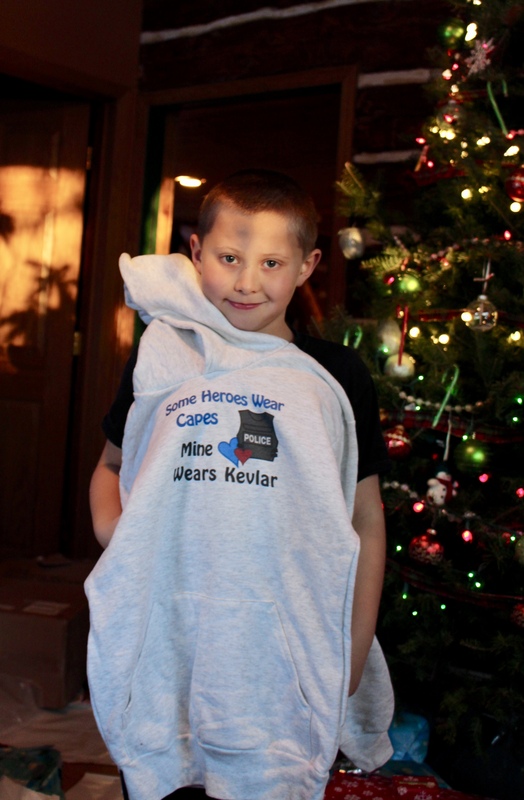 John’s Christmas present from Avalon, Lukas, and I. He loves it! 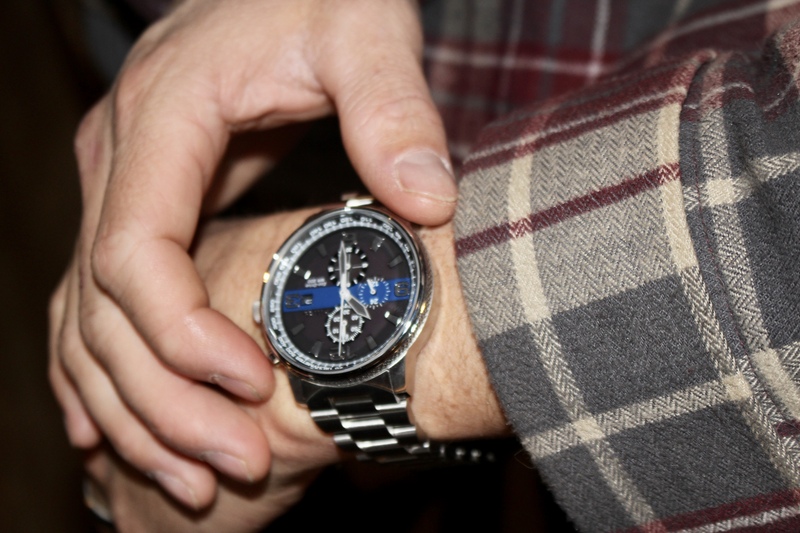 I ordered the watch from Eli Adams Jewelers. 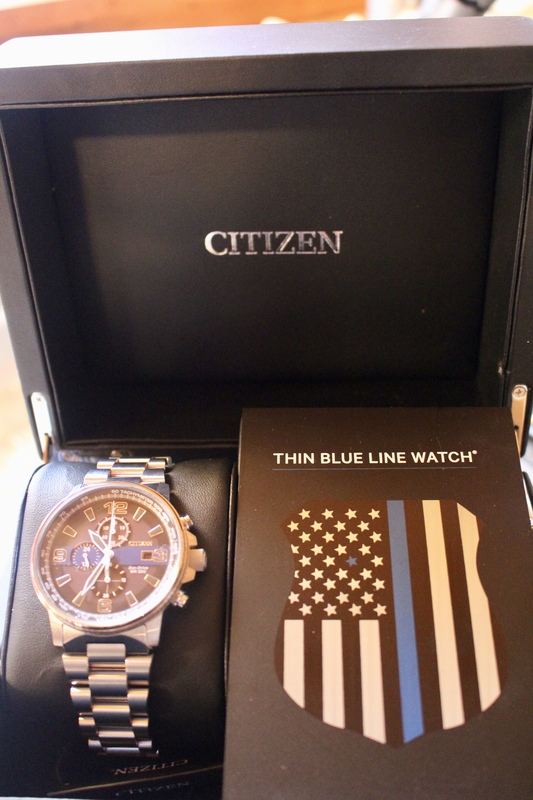 It’s gorgeous and their customer service was excellent. 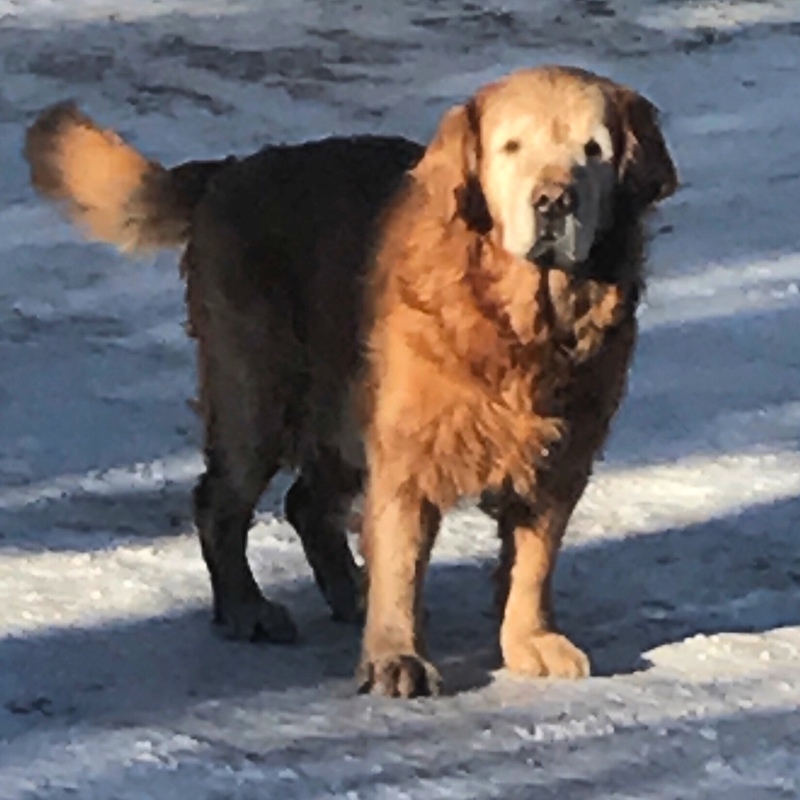 Ollie has been keeping close to the house, but he loves to roll around in the snow. He’s an old dude, but is the most loyal buddy! Remi watching the kids tear into their Christmas gifts. John modeling his hockey gear with Dad. 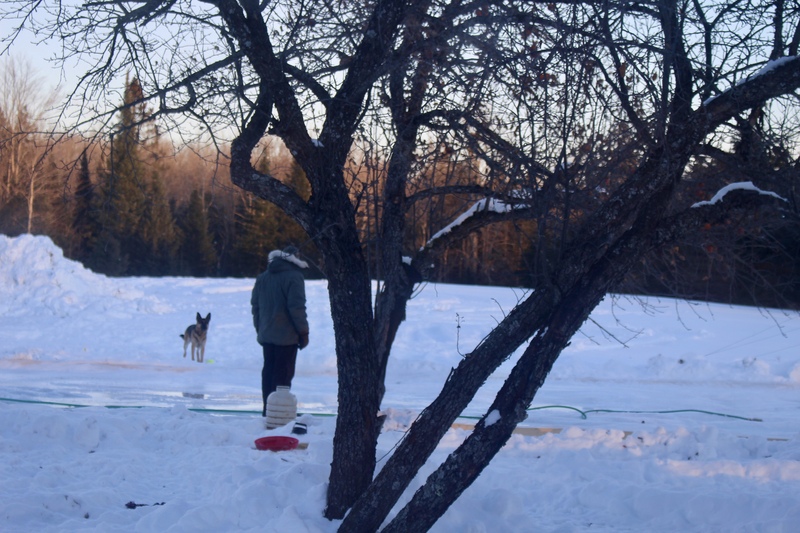 This entry was posted in Lifestyle and tagged A Father's Love, Backyard Ice Rink, family farm, Ice Rink, Thin Blue Line Watch, Unconditional Love, Upper Peninsula of Michigan by Amy. Bookmark the permalink.